Innovative Indonesian design firm alvinT draws inspiration from its countries vast quantity of art and culture, applying its domestic traditions to its techniques in furniture design. The Linger bench is an example of this approach, blurring the lines between traditional Indonesian culture and modern western furniture design. 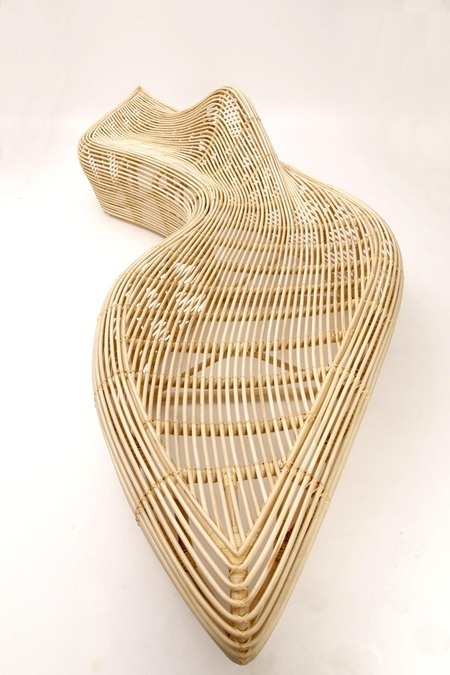 The bench is made entirely of bamboo, and has an extended and curvy shape that seems sleek and spacious.